Happy New Year! January is a time to start fresh...to begin again with a fresh, clean start...so it is only appropriate that January is National Organization Month! And since many people make a New Year's resolution to become more organized, I'll be posting organization tips every day for the month of January. 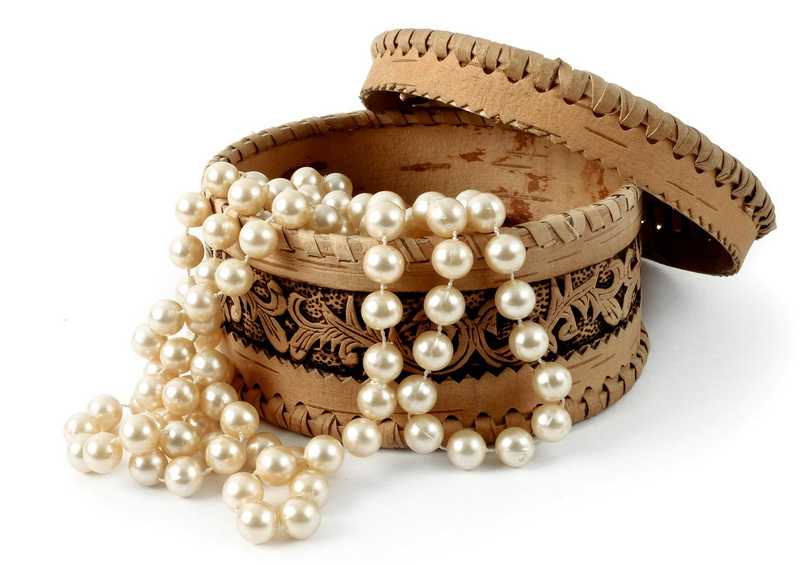 Jewelry and cosmetics can take up an incredible amount of space. Earrings, necklaces, bracelets, brooches, jars, compacts, tins and tubes all scatter everywhere and more often than not, what you are looking for is not what you end up finding. It gets worse when you travel. If you can't decide what to take, you end up packing it all in a hurry and everything winds up in a jumbled mess in your bags! Cosmetic are broken, necklaces tangle, or worse, your nail polish bottle breaks -yikes! When traveling, string necklaces through plastic drinking straws and re-hook. This reduced the risk of tangles from being jostled around in small spaces. A lot of jewelry never sees the light of day. They get placed in a jewelry box, have other things piled on top of it, and they never get worn again. If this is happening to your jewelry, start whittling down the collection or take quick action and get it all organized! For rings and earrings, divided trays, or even ice cube trays, can easily sort and store your treasures. Both of these options can be kept in drawers or stacked. Necklaces and bracelets can be stored in a necklace keeper, specially made to store and protect necklaces. You could also mount a small hook rack to a door, a wall or inside your medicine cabinet to hang necklaces and bracelets, keeping them tangle-free. A mug tree is also an interesting option for storing necklaces and bracelets. The tree can be kept on your dresser or vanity as an eye catching display. Your necklaces and bracelets can hang from it's branches and add sparkle and color to the room. For traveling, jewelry can be stored in a roll-up jewelry organizer. These bags have separate compartments for your jewelry so things don't get tangled up. A very practical jewelry organizer is a divided storage case. Dividers can be adjusted for whatever suits your needs and can change as your collection changes. The box is clear so you can see everything at a glance and if it gets flipped upside-down, your collection will still be as organized as ever. This option is also great for travel. Cosmetics are very similar to jewelry. A new eye shadow is purchased. It may have been on sale or a new shade. Whatever the reason, it came home with you and immediately joined the others in your cosmetics bag. Every once in awhile, you may see it and think, "Oh, I forgot about that one! I'll need to try it out...tomorrow." Use the following tips to organize your cosmetics. Know what you have and what you need, and always know where it is. If you have the same makeup routine everyday, keep on hand only those few items. They tuck easily into a compact cosmetics case. A divided storage case, like the one mentioned for organizing jewelry for travel, would also work well for cosmetics. A tackle box or hobby case can organize the smaller items on top and large jars and moisturizers in the bottom. 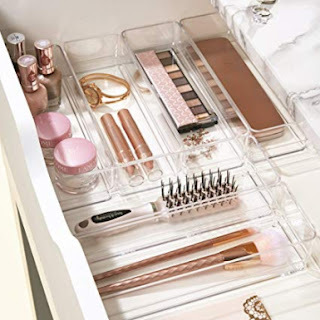 If you are able to dedicate a drawer in the bathroom to your makeup, use drawer dividers to create compartments for each type of product or facial feature: eyes, lips, foundations, etc. If you prefer your cosmetics to be kept on your counter or vanity table, various countertop products are available for organizing your make-up. Store lipsticks so you can quickly tell the shade without having to open the tube. If need be, store lipstick tubes upside-down so you can read the labels. 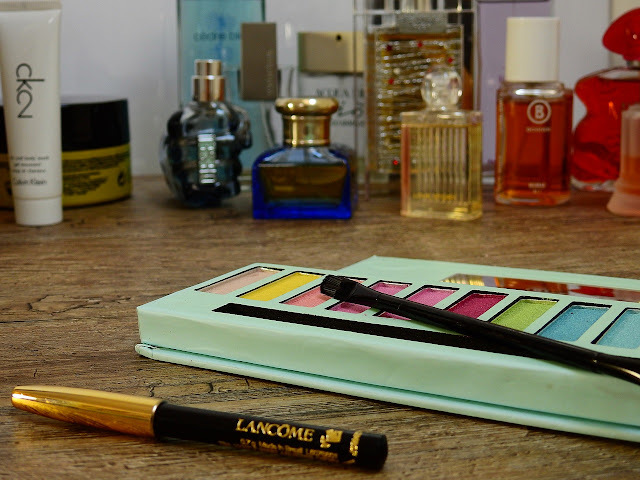 Have a dedicated place for your eyeliners and lip pencils, whether it is a separate drawer divider or a cup in the cabinet. It will eliminate the morning search for a slim makeup pencil beneath the piles of makeup. Keep your nail polish upright in a cabinet or deep drawer or find an organizer that will keep them from bumping into each other. A broken bottle of nail polish is one of the messiest, smelliest makeup-mishaps you will ever have to deal with. I suggest you get your manicure before your trip and leave the polish at home. Or leave your nails natural and take a buffer with you to give them a shine. (I haven't tried it, but I hear you can clean up wet nail polish from flat non-porous surfaces with sugar).